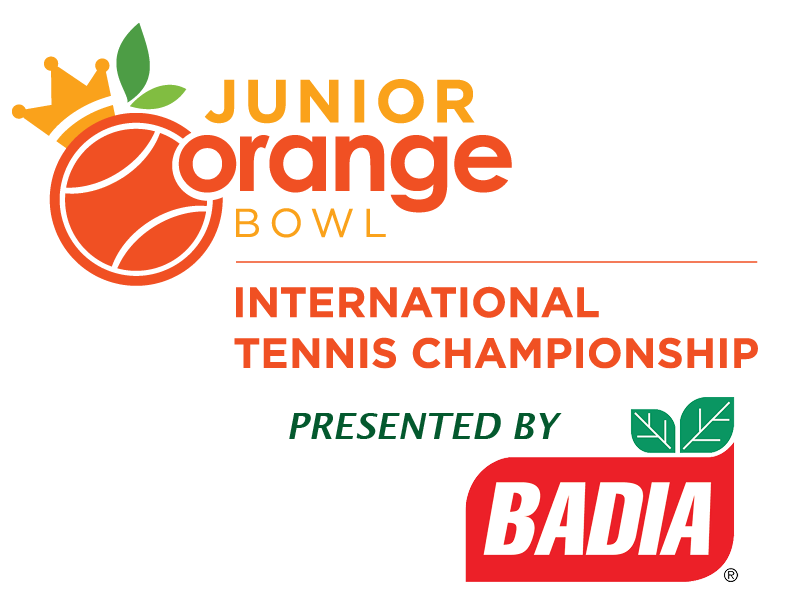 CORAL GABLES, Fla. (Dec. 12, 2018) – Taiwan’s YaYi Yang, winner of the WTA Future Stars earlier this fall, found the going a bit tougher in Wednesday’s opening match of the 57th Junior Orange Bowl International Tennis Championship on a day when most of the upper seeds made quick work. Faced with the possibility of going to a third set against Michigan’s Emma Roeck, Yang dug a little deeper to advance with a 6-2, 7-5 triumph and avoid one-and-done elimination as the top seed in the Girls 14 & under division. By comparison, Yang dropped only six games when she defeated Japan’s Mio Kozaki, 6-3, 6-3, in the WTA Future Stars final two months ago in Singapore. The No.1 seeds in the other three divisions barely took enough time to break a sweat on a warm, breezy day in which seeding largely held to form. Victor Lilov (Boys 14s), Rudy Quan (Boys 12s) and Clervie Ngounoue (Girls 12s) combined to surrender just three games while recording straight-set romps. Quan’s 6-2, 6-0 victory over Japan’s Ryusei Miyazato extended the Californian’s record to 38-1 over the past 12 months against Boys 12s competition. Ngounoue (Washington, D.C.), runner-up in the Girls 14s at the Eddie Herr International earlier this month, began play in Girls 12s by blanking Mary Boyce Deatheridge. Lilov, who has played older competition since winning the Les Petits As in France last January, dropped just one game in beating lucky loser Shrish Choudhary (Fremont, Calif.). Only one of the top four seeds in any division was an upset victim Wednesday, as No.4 Maximus Dussault (Leesburg, Va.) was upended in the Boys 12s by South Korea’s Juhun Choo, 6-4, 6-1. Latvia’s Valerija Kargina, seeded third in Girls 12s, was taken to three sets by Canada’s Naomi Xu before emerging with a 6-2, 3-6, 6-3 triumph. Complete results can be found online by going to JrOrangeBowl.org/tennis, then clicking on the USTA link. The tournament received entries from more than 1,200 applicants, with qualifying rounds held ahead of the main draw to fill out the brackets.